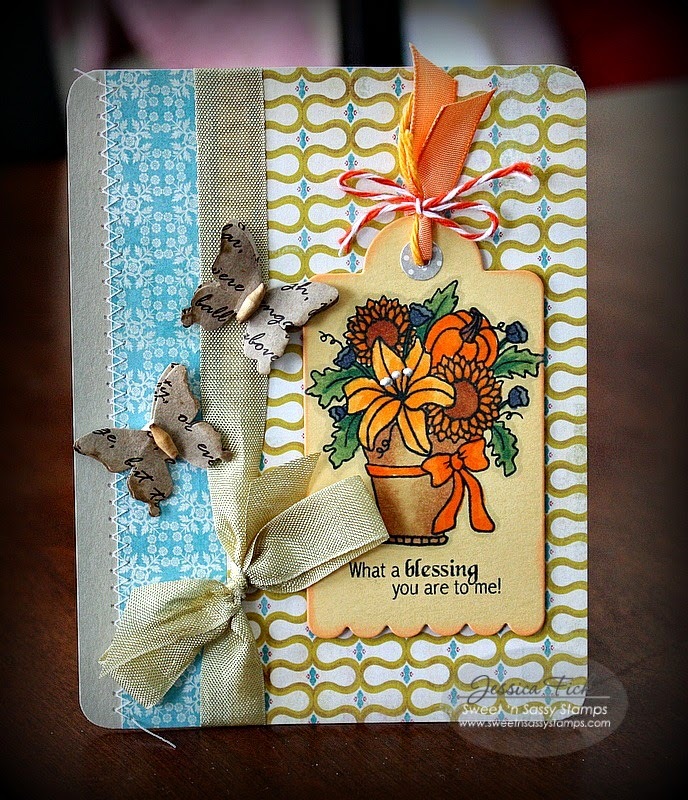 Your card is Gorgeous....WOW Girl all of your ideas are outstanding and your coloring is fabulous!! Your butterflies and so cute and your flowers are beautiful. YOU ROCK!! Looks great, Jessica. 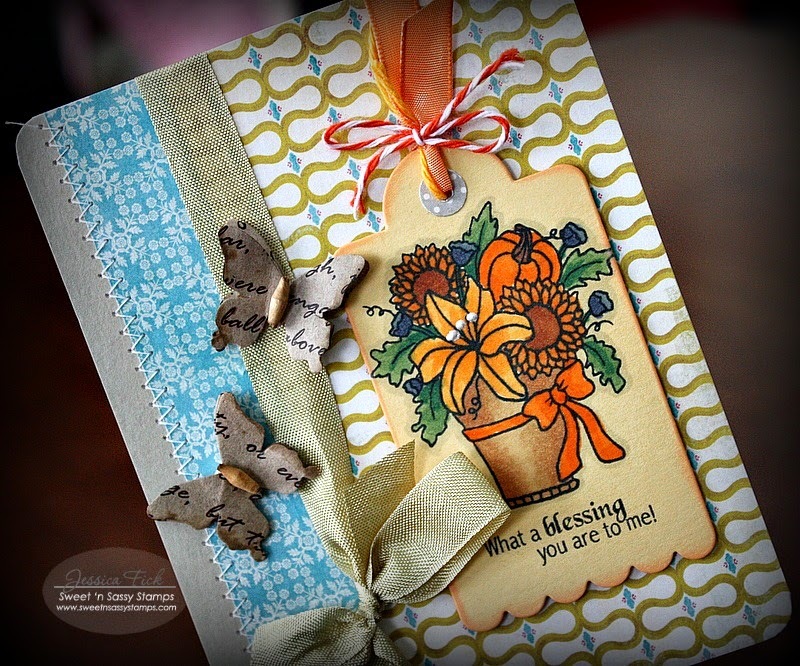 I love how you did the tag, the ink edging looks great, as does the stitching. Happy New Year, Jessica! 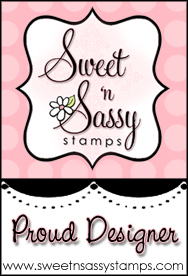 The autumn themed stamp selections of Sweet n Sassy are some of my favorites, and this one is darling with the background patterned papers. Tons of great interest on your card!